The Starwood Resorts Worldwide is opening its first W branded hotel in Las Vegas. The W is taking over a 289 room tower of the SLS, and will have its own separate hotel entry and reception area featuring the branded W Living Room Bar and W branded spa with its own WET rooftop pool and exercise center. The W Living Room Bar Grand Opening is scheduled for December 1st. 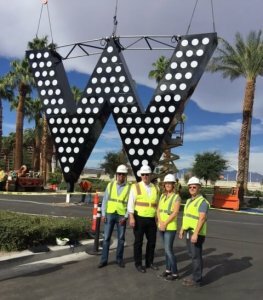 The W Hotel Grand Opening scheduled in February of 2017.